The American League Central is as bad of a division as I have ever seen in the sport. It is so bad that the overwhelming favorite for the Central crown, Cleveland, felt so unthreatened by its competitors that they actually shed personnel and payroll during the offseason. Three of the teams, Detroit, Chicago and Kansas City, are so pathetic that you could probably combine their rosters and still not put together a team capable of winning the division. And that leaves Minnesota, one of 2018's biggest disappointments, as the only true obstacle to a fourth straight division title. Outlook: It has been more than 70 years since Cleveland's last World Series championship. Is this the year that they break the streak? Looking at the powerhouse teams that they are competing with in the American League, I am going to say no. That won't stop the Indians from winning their fourth straight division title and posting their seventh straight winning year, though. 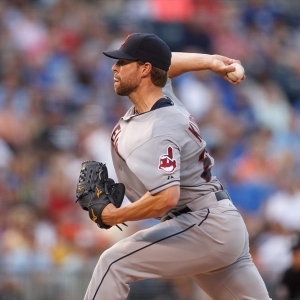 The strength of The Tribe is still its potentially dominating starting pitching staff. Corey Kluber, Carlos Carrasco and Trevor Bauer are as good of a 1-2-3 as there is in the league. Mike Clevinger is a horse, and Shane Bieber has a load of potential. There is depth and a wealth of options outside the first five arms as well. The bullpen is still a strength, led by lefty closer Brad Hand. The lineup lost more punch than it added. Carlos Santana came home after one weak year of hitting .229 in Philadelphia. The hope is that Jason Kipnis, Jose Ramirez and Francisco Lindor, all of whom are in their primes, can carry the attack. Lindor will start the season on the disabled list. Cleveland is still the overwhelming favorite heading into the season. But they are certainly more vulnerable now than they have been in years. This team doesn't have nearly the same depth. If injuries creep into the lineup, the starters or the bullpen, then these guys are going to start leaking wins. Unless they decide to reverse course and add some payroll (and impact players) at the trade deadline I don't see this team as a legit contender to finally break through and bring home a title. Outlook: I don't know if any team has experienced the number of wild swings that the Twins have endured over the last five seasons. They lurched wildly from 70 to 83 to 59 to 85 wins before 'just' a seven-game difference last year, sliding down to 78 victories in a season in which they were supposed to compete for the Central title. Minnesota selectively added some potentially high-impact players this offseason. Jon Schoop, Marwin Gonzalez, C.J. Cron and Nelson Cruz should all start immediately. We know who they are, though. If the Twins are going to make a jump, they are going to need a breakout from one of their young potential stars: Eddie Rosario, Byron Buxton and Miguel Sano. The lineup should be vastly improved from last year's perfectly mediocre group. If there is a problem, it is with the starting pitching staff. Kyle Gibson made serious strides last season, dropping his ERA from 5.07 to 3.62. I still don't trust him. Jose Berrios has been to an All-Star Game and looks like the real deal. Beyond that? Not much. Jake Odorizzi, Michael Pineda and Martin Perez are all below-average placeholders in a below-average rotation. The Twins were No. 22 in team ERA last year. They need to be much better than that if they are going to compete. The Twins have a new manager and a new feel heading into the season. Last year they fell flat on their face in an attempt to catch the Indians. That may have been a step back to take a step forward for this year, though, and I think that this team is going to be a moneymaker that is loaded with betting value. Outlook: The White Sox reportedly did everything they could this offseason to make a major, franchise-altering move by signing Manny Machado and Bryce Harper. They came up short in both pursuits, though, and the Sox can't help but feel like the winter was a serious disappointment. After a season in which the White Sox lost 100 games, it was tough for things to get any worse. So there you go. I don't think that the White Sox will be worse. They've added a few professional MLB lifers to support the roster. They may be turning a corner in their rebuild. And if they were major players in the Machado and Harper sweepstakes, then they may be front and center in a significant trade deadline maneuver. Jose Abreu is an underrated superstar. The Sox brought in Yonder Alonso to give him some protection in the lineup. That will help. But the key for Chicago this year will be Yoan Moncada's development. He's a potential game-changer, and the 23-year-old could be on the verge of his breakout. The pitching staff is mediocre at best, and none of their starters will ever be considered top-end, front-line arms. In the current state of baseball, that's not exactly a disqualifier. Chicago made some maneuvers to add bullpen arms and was successful. Whether or not the White Sox intend to flip those bullpen guys at the deadline remains to be seen. On the whole, it looks like the White Sox are going to miss the postseason for the 11th straight year. Outlook: It was a rare half-decade of competitiveness for the Kansas City Royals, which included two American League pennants and a World Series title. The bottom completely fell out last year, though, as the Royals dropped from 80 to 58 wins and were outscored by nearly 200 runs on the season. Kansas City's pitching was atrocious last year, with both their starter's ERA and their bullpen ERA hovering around 5.00. I don't think that they are going to be any better this year with the retreads they are still trotting out. The hope is that Brad Keller continues to develop after an outstanding season and that Homer Bailey has a third act to his career. In between it looks like a lot of batting practice for opposing lineups. In terms of Kansas City's lineup, it is a whole lot of nothing. Alex Gordon and Jorge Soler can still have moments. Whit Merrifield is an above-average hitter and more than capable. Beyond that, it is just a lot of player development and at-bats going to youngsters. They were 18th in batting average and 25th in runs scored last year. I think they will stay in that range this year as well. The Royals were able to rebuild the franchise on the strength of young players once. Now they will try to do it again. The last rebuild took about six years. And when it clicked it clicked, with one of the franchise's best eras since the late 70s and early 80s. We'll see how it goes this time around, but my expectations are pretty low. Outlook: Unlike the White Sox, the Tigers might actually be worse this year despite losing 98 games last season. And consider this: the Tigers are this pathetic despite the fact that they play in the worst division in baseball surrounded by other teams neck deep into rebuilding seasons. For the third year in a row, the Tigers are trying to completely overhaul their lineup. Five years ago they had one of the most fearsome lineups in the game. Last year they tallied 630 runs, their worst total since the 43-119 team in 2003 and good enough for No. 26 in the Majors last season. Miguel Cabrera isn't getting any younger. Nick Castellanos is likely to get traded. The rest of the group is low-ceiling youngsters and mish-mashed parts. Michael Fulmer is out for the year. Now the rotation is crossing its fingers and hoping to that washouts like Jordan Zimmerman and Tyson Ross can make 25 starts apiece. Matt Boyd is the de facto staff ace. That should tell you all you need to know. Somehow the bullpen is even worse. There is no end in sight for this rebuilding job. Detroit will again be one of the worst teams in baseball, and no bet against the Tigers this year will be a bad bet.